Goto-searchitnow.global.ssl.fastly.net is the fake search engine that appears on your Chrome, Firefox or Safari browser directly. But you need to scan the device using Reimage to see what programs have infected the device and remove them all. Goto-searchitnow.global.ssl.fastly.net is the browser hijacker that redirects your online searches to searchitnow.info and delivers questionable results. 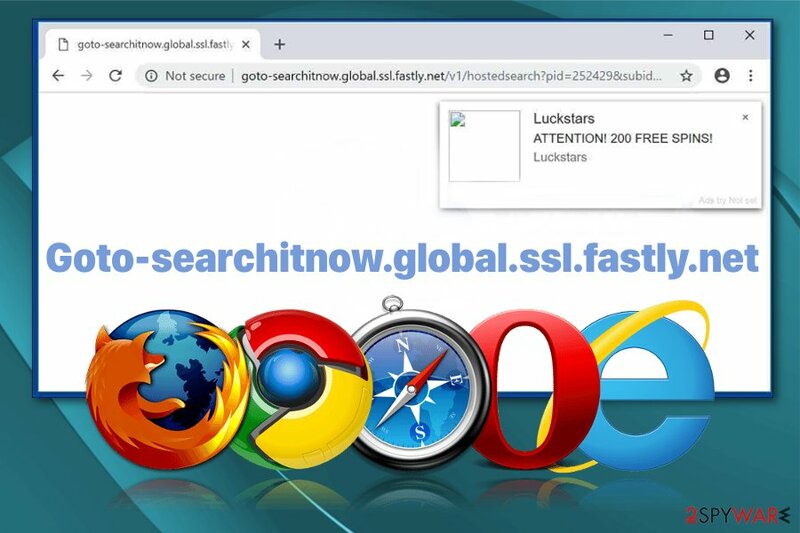 Goto-searchitnow.global.ssl.fastly.net is the potentially unwanted program that delivers altered online search results filled with intrusive commercial content that keeps you from browsing online usually. It mainly targets MacOS supporting devices and Google Chrome, Mozilla Firefox or Safari browsers. It is another variant of fake search engines that affect your time online by altering browser settings, default preferences and displaying questionable redirects, installing extensions or toolbars without your consent. Goto-searchitnow.global.ssl.fastly.net is one of the many PUPs that surface around the internet. When you try to use the search engine provided on the website you automatically get redirected to Serachitnow.info browser hijacker page that is already known as useless. 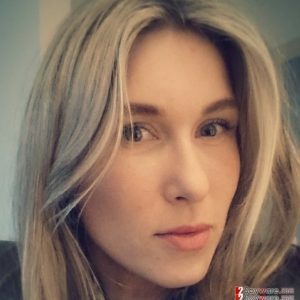 You need to clean the system thoroughly to get rid of all related content. Developers of similar browser hijackers like Goto-searchitnow.global.ssl.fastly.net claim that their products give you the advantage of browsing online since the search engine delivers you improved results. However, it is not as useful as it is promoted. The modified browser is not performing better than before, as the developers' claim states. All online search results show intrusive commercial content or even promotes other products like Goto-searchitnow.global.ssl.fastly.net virus itself. Browser content, extensions, downloaders or fake updaters get advertised in pop-ups and banners injected on commonly visited sites. Unfortunately, when Goto-searchitnow.global.ssl.fastly.net is set as your default search engine and homepage or new tab your Firefox, Safari or Chrome starts running even slower or freezing more often than before. Also, it may be caused by toolbars or extensions that PUP installs without your consent or permission. Be aware of this activity and remove Goto-searchitnow.global.ssl.fastly.net from the device as soon as possible. But remember that the website itself is not the main intruder you need to delete. Changes on your browser and unwanted content are the results of a potentially unwanted program that got on your device with the help of software bundles. Goto-searchitnow.global.ssl.fastly.net is the potentially unwanted program that causes changes on your Safari, Google Chrome, and Mozilla Firefox. You should note that Goto-searchitnow.global.ssl.fastly.net removal requires reputable tools like Reimage because a full system scan is needed to find all related programs and applications. Researchers also advise cleaning the system immediately after noticing intrusive behavior because of the data tracking issue. Goto-searchitnow.global.ssl.fastly.net developers or sponsors later use this information about websites' visitors to create more personalized advertisements and deliver them to the viewer. Additionally to virus termination, make sure to set your browser to default so any changes can be eliminated. You may be aware that browsing the internet and using questionable websites as your source for programs can affect the performance of the device. But do you know about the possible risk of Quick/Default installations? Freeware providers and PUP developers pack their products together and form software bundles that get distributed online via p2p networks or deceptive advertisements. When you choose Advanced or Custom options during the installation of a program, you can see all suggested products. This way you can de-select the check mark on the unwanted program. This particular browser hijacker and related websites are known as being distributed via Flash Player Install. Deceptive application promotes the fake search engine and automatically installs it on the browser when you skip through steps during the download. You should be aware that Goto-searchitnow.global.ssl.fastly.net removal requires help from professional tools and your close attention during the process. When you choose the trustworthy anti-malware tool, you need to run a full system scan on the machine. The system scan indicates possible threats and unwanted programs, corrupted files or shows what issues your computer has. By paying more attention to these results, you can remove Goto-searchitnow.global.ssl.fastly.net and see what else is affecting the performance of your device. Then you only need to follow the suggested steps and double-check if all content related to Goto-searchitnow.global.ssl.fastly.net virus is deleted properly. Follow our suggestions below and manually check if every browser is clean. Wait until you see Applications folder and look for Goto-searchitnow.global.ssl.fastly.net or any other suspicious programs on it. Now right click on every of such entries and select Move to Trash. Here, select Goto-searchitnow.global.ssl.fastly.net and other questionable plugins. Click Remove to delete these entries. Now you will see Reset Firefox to its default state message with Reset Firefox button. Click this button for several times and complete Goto-searchitnow.global.ssl.fastly.net removal. Here, select Goto-searchitnow.global.ssl.fastly.net and other malicious plugins and select trash icon to delete these entries. Click Reset to confirm this action and complete Goto-searchitnow.global.ssl.fastly.net removal. Here, select Extensions and look for Goto-searchitnow.global.ssl.fastly.net or other suspicious entries. Click on the Uninstall button to get rid each of them. Here, look at the Homepage field. If it was altered by Goto-searchitnow.global.ssl.fastly.net, remove unwanted link and enter the one that you want to use for your searches. Remember to include the "http://" before typing in the address of the page. Now you will see a detailed dialog window filled with reset options. All of those options are usually checked, but you can specify which of them you want to reset. Click the Reset button to complete Goto-searchitnow.global.ssl.fastly.net removal process. ^ Margaret Rouse. Browser hijacker. Saerchsecurity. Information security information, news and tips. ^ "Potentially Unwanted Programs": much more than just annoying. Gdatasoftware. IT security topics . This entry was posted on 2019-02-08 at 04:27 and is filed under Browser Hijackers, Mac Viruses, Viruses. You can quickly scan the QR code with your mobile device and have Goto-searchitnow.global.ssl.fastly.net manual removal instructions right in your pocket. How did you remove Goto-searchitnow.global.ssl.fastly.net?